There has been a lot of talk recently about chatbots that could theoretically help you do anything from booking an Uber, to ordering food or other goods in addition to the normal searches, navigation, and other features you might expect from a personal assistant. Although, these chatbots, as the name implies, are built into text chats. Viv is a voice-powered assistant from the developers of Siri that aims to be just as impressive. Dag Kittlaus and Adam Cheyer, were also co-founders of Siri and actually began working on Viv in 2003, before Siri, but the technology wasn't there. The team built Siri, which was sold to Apple in 2010, but Kittlaus and one-third of the Siri team left Apple in 2011 to continue work on Viv. Where Siri integrates with a number of knowledge graphs like Yelp, OpenTable, Wolfram Alpha and others, Viv does that and more by having an open system where third-parties can integrate services. This means you can call a car from Uber, order flowers through FTD, or buy a pizza. Ordering pizza was actually the demonstration the Viv team gave to reporters from the Washington Post recently. The order began by saying "get me a pizza from Pizz'a Chicago near my office" and Viv then walked through to get how many pizzas, the sizes, and toppings to complete the order. A more complete demonstration of Viv's capabilities is planned for this coming Monday, May 9th. Viv has already garnered some impressive attention and has reportedly gotten offers from both Google and Facebook to purchase the product. It's unclear as yet when the app will launch and for what platforms. There is a job listing on the Viv website for an iOS engineer, so it's easy to presume an iOS app is in the works. We've reached out to Viv to ask about Android, but have gotten no response yet. Maybe we'll get more info on Monday. 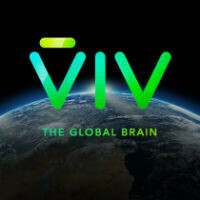 Hail "Viv-the global brain " The new skynet. Finally!! Its time to take over. Hail ViV. Not saying that Viv won't be better, but according to the description given, it won't do anything that isn't already being done.